Oh my gosh, my family is in love with Krispy Kreme doughnuts! And we have an ongoing tradition. When we set out on a road trip, we stop and buy a dozen Krispy Kreme doughnuts (I would show you proof of that statement, but my photos are being held hostage by Photo Bucket this week). Doughnuts and road trips are kind of our thing. Can you think of a better way to kick off a road trip? I can’t! We may have even stalked the Krispy Kreme truck when we were on our road trip along Route 66! If I haven’t already made it clear, I guess you would say we’re fans. Grabbing some Krispy Kreme doughnuts on a road trip. Could a Road Trip Get Any Better? Oh, Yeah! There’s always room for improvement right? What if those beloved doughnuts one loves to pack for a road trip snack were on sale right about the time you were ready to hit the pavement? Well, good news. 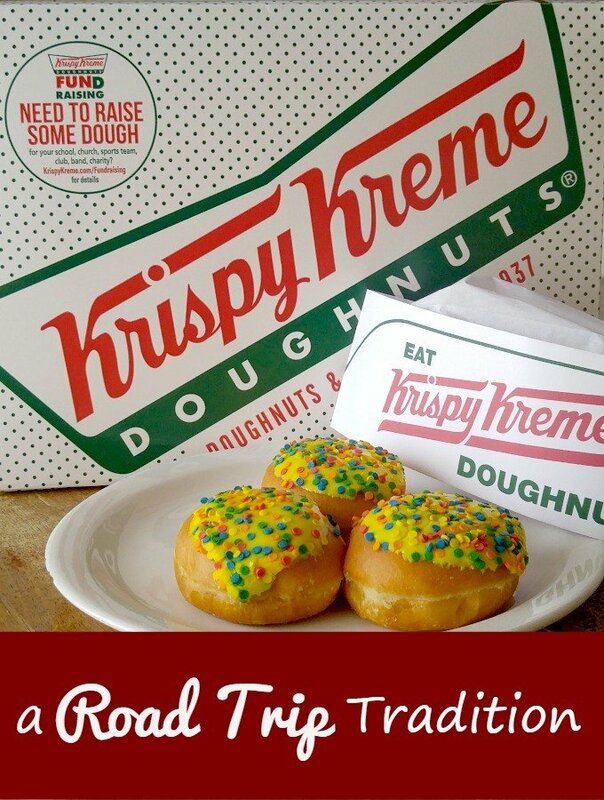 Krispy Kreme is celebrating its 78th Birthday on Friday July 10th and that is exactly when my husband and I strike out for our inaugural almost empty-nest, kid-free, full-fledged vacation. Sure we’ve traveled without our kids on many occasions though we’ve not been away more than a few days or long weekend. We’ve also taken trips with only one or two of our kids, which is more frequent now that our kids are grown, independent and each has a full-time job. But a cross-country trip? Well, this is a new one for us. And while I’m positive this trip will live up to the hype I’ve built it up to be in my head, it’s not just a vacation. 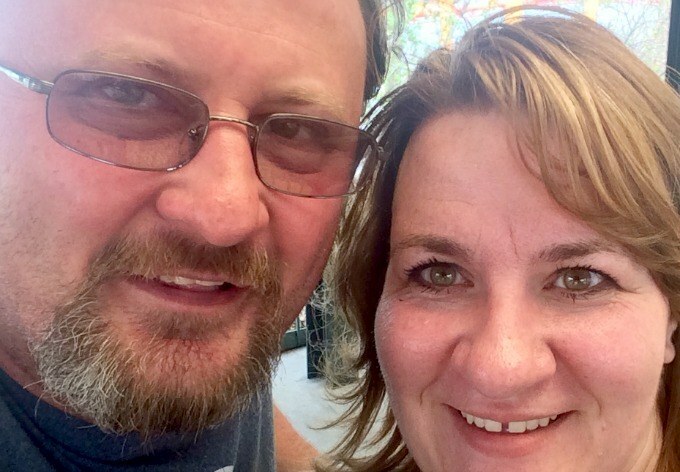 We’re also celebrating our 22nd wedding anniversary. Whoa. All this and a sale on Krispy Kreme? Well, if I believed in stars aligning for me, I’d say this is quite a sign. 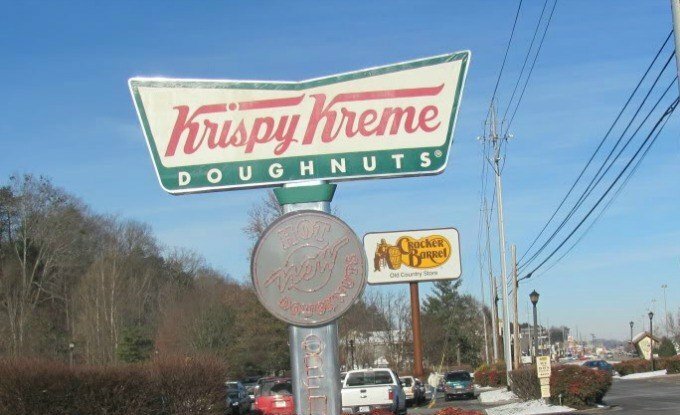 Visit a Krispy Kreme location in the US (sorry Connecticut and Puerto Rico- this is not for you) and you can purchase a dozen Original Glazed doughnuts for only 78 cents with the purchase of any variety of the tasty treats at regular price. In celebration of Krispy Kreme’s 78th birthday, the company debuted the festive Birthday Cake Batter Doughnut- available at participating locations until August 30th. I picked some up when I stopped into Krispy Kreme earlier this week and if you like cake batter- you’ll think they are yummy! 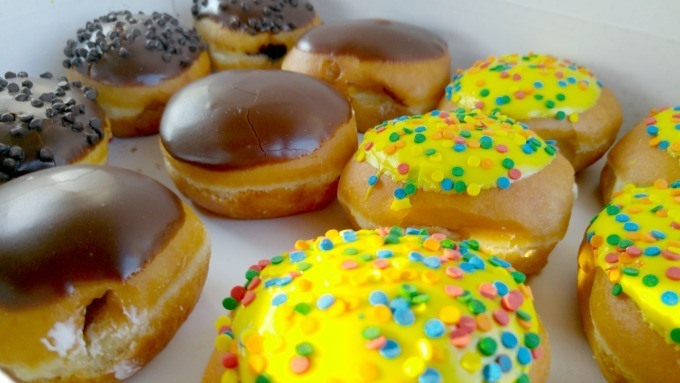 Just imagine a doughnut filled with a blend of Kreme and birthday cake batter. If doughnuts aren’t your thing, grab a Krispy Kreme Birthday Cake Chiller- it’s like drinking a frozen cupcake. A little sweet for my taste buds, but I have a feeling my kids, who always love to lick the bowl when I bake a cake, would be enamored with the sweetness. 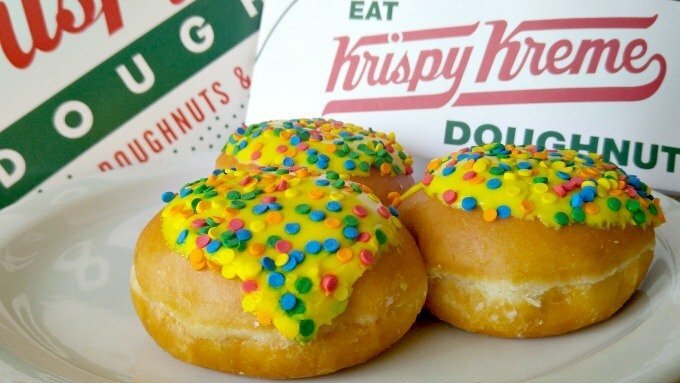 Celebrate Krispy Kreme’s 78th Anniversary with Birthday Cake Batter doughnuts. 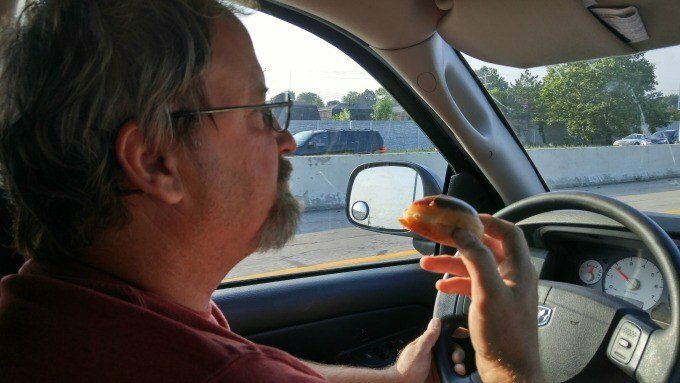 You can bet at some point on our journey, my husband and I will stop for a doughnut or two (or three…ummm dozen…just kidding) and hopefully we’ll time it when the Hot & Ready light is on. Do you know if you see the Hot Now sign on in the front of Krispy Kreme you can snag a FREE Krispy Kreme Original Glazed doughnut? And if you keep missing the sign, there’s the Krispy Kreme Hot Light App that will help you score a free doughnut at your local store. Want to find out more about Krispy Kreme’s 78th Birthday offer? Visit KrispyKreme.com for more information but remember you’ll only snag a dozen Original Glazed doughnuts for 78 cents on July 10th so mark your calendar today. What’s your favorite doughnut at Krispy Kreme? I like just the plain old glazed donuts. My favorite KRISpY Kreme is filled white cream glazed chocolate. 2nd favorite, all others. Th anks for the post. We love Krispy Kreme.